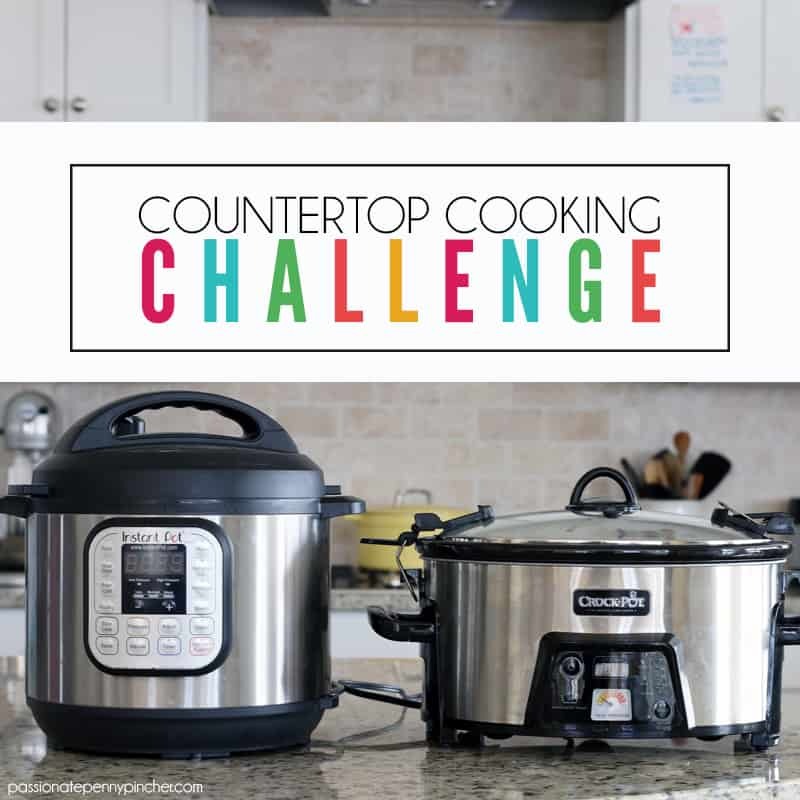 Will You Join Me for the Countertop Cooking Challenge? 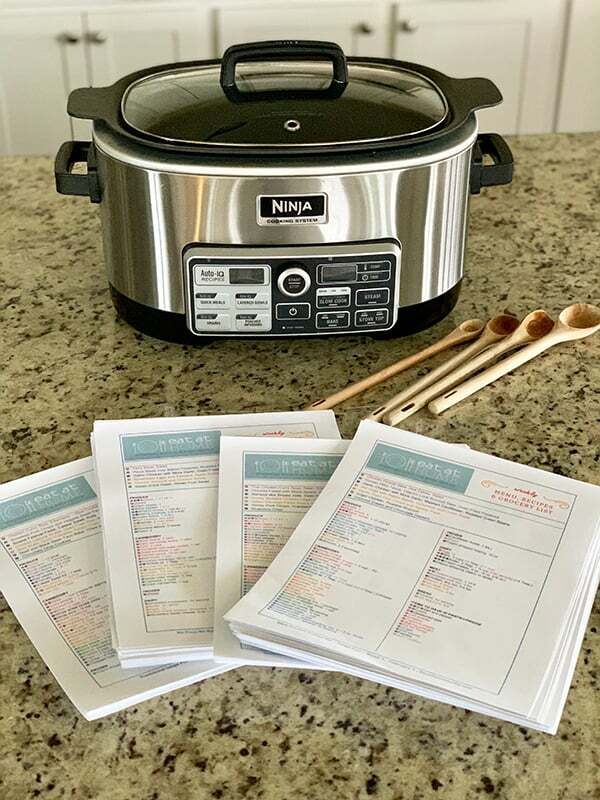 During the February 2019 Countertop Cooking Challenge I'll be cooking with you for a whole week including grocery lists and menu plans, and Tiffany and I will be cooking them up each day right up with you. Annddd … just for today, Tiffany is offering us the lowest prices she's offered on her menu plans 30% off with the code COUNTERTOP at checkout. Can you imagine going to the grocery store, buying oodles of groceries, and then just dumping a few of those bags of groceries in the trash? You may just be doing that. So many people (myself included sometimes!) head to the store without a plan in place, buy things they may not use, and things end up getting wasted and thrown away ~ literally 25% of food in America is thrown away each year. But you and I are going to fix that. 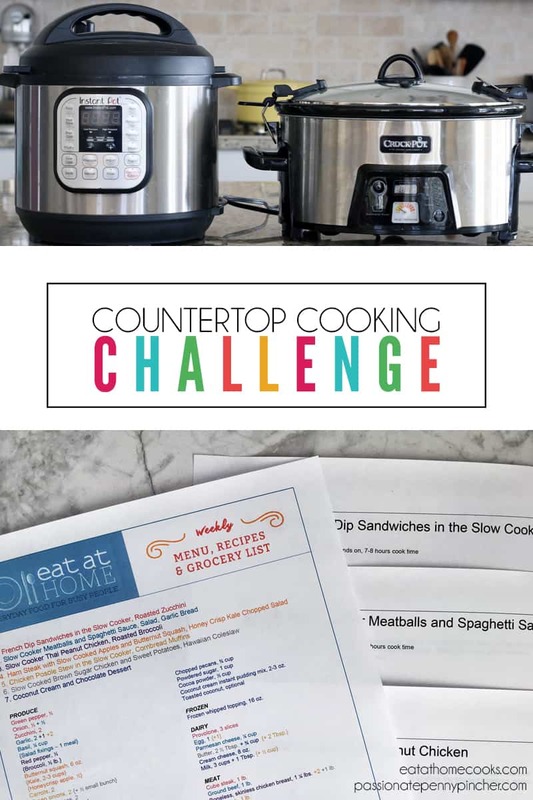 Crocktober wrapped up last fall, but back by popular demand we're doing a very similar series this February called the Countertop Cooking Challenge. (I think you're going to love it!) We're going to have a menu plan, grocery list, and recipes all pulled together before the week even starts. 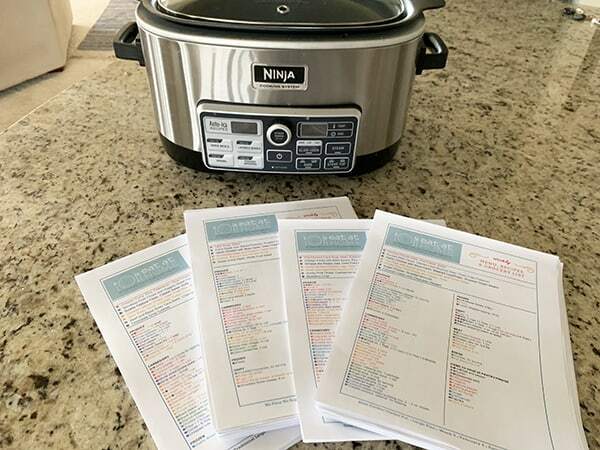 Starting Monday, 2/11/19, I'm teaming up with my friend Tiffany from Eat at Home Cooks to bring you Crockpot and Instant Pot recipes, and every single one of us is going to get dinner done. To make your life waaaayyyyy easier (and mine too!) 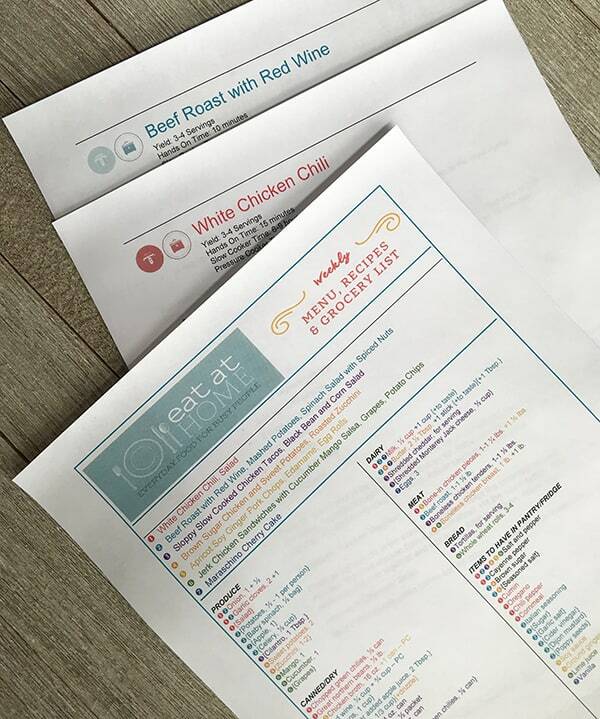 we'll use Tiffany's Eat at Home Menu Plans ~ which I've been using in our home and they're just fantastic. I promise, these will save you a bundle! In fact, people who shop with a menu plan and grocery list save 25-50% every single week on their food expenses. 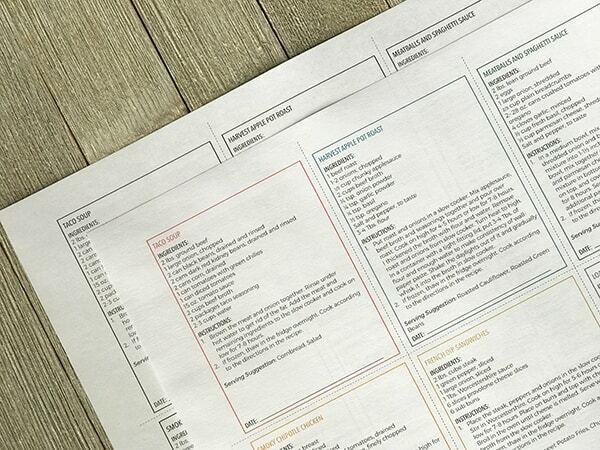 And, a menu plan all of a sudden makes grocery shopping easy. You'll actually eat well balanced meals with what you have in your kitchen and skip the drive thru. 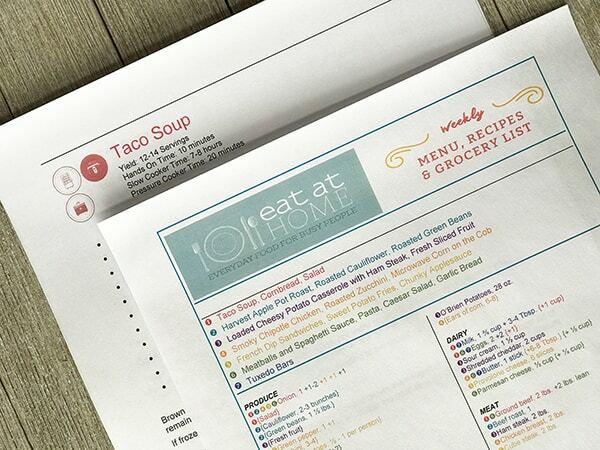 As an extra bonus, once you sign up for the Eat At Home Cooks Menu plans, you'll have access to these recipe labels (you can download them right from the Eat At Home Cooks Web Site where you download your recipes). 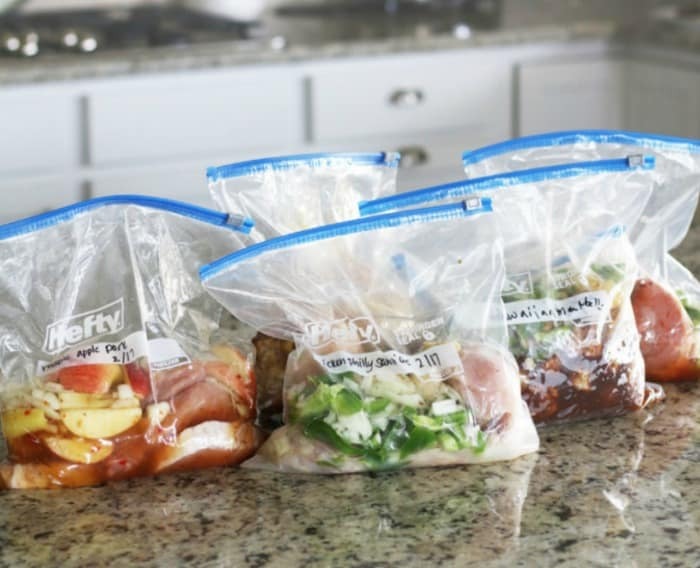 You can print these off (in color OR in black and white) and pop them into your freezer bags so you what's in each bag, how to cook it and when you froze it! Basically, you'll get 72 recipes with menu plans AND A GROCERY LIST, all included! And I would just love for you to join my free private Dinner's Done Facebook group to get tons of support and encouragement as we all get dinner done in February.